Awesomely beautiful galaxy note 4 rose gold case, specially for girls and ladies. Product Features: 1. Perfectly fashionably design for Samsung Galaxy Note 4 ,easy to install,protect your beloved phone from damage . 2. Allows access to all buttons and ports for charging and syncing . 3. Lightweight design perfectly fits your phone, does not make your phone look bulky . 4. You will find it much easier to wipe the dust off this case than you have experienced from other cases . 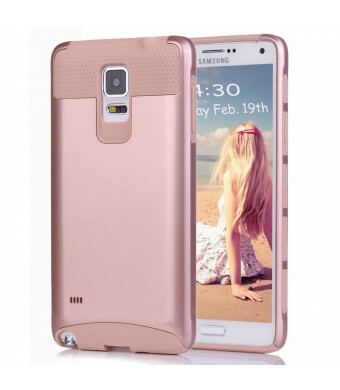 5.This Protective Case will make you feel more safe When you use your phone . 6.Snap-on Polycarbonate Hard case for shock absorbent Drop Protection . 7.Double-layered interior honeycomb for maximum impact protection . 8.Slim ergonomic design with secure grip . 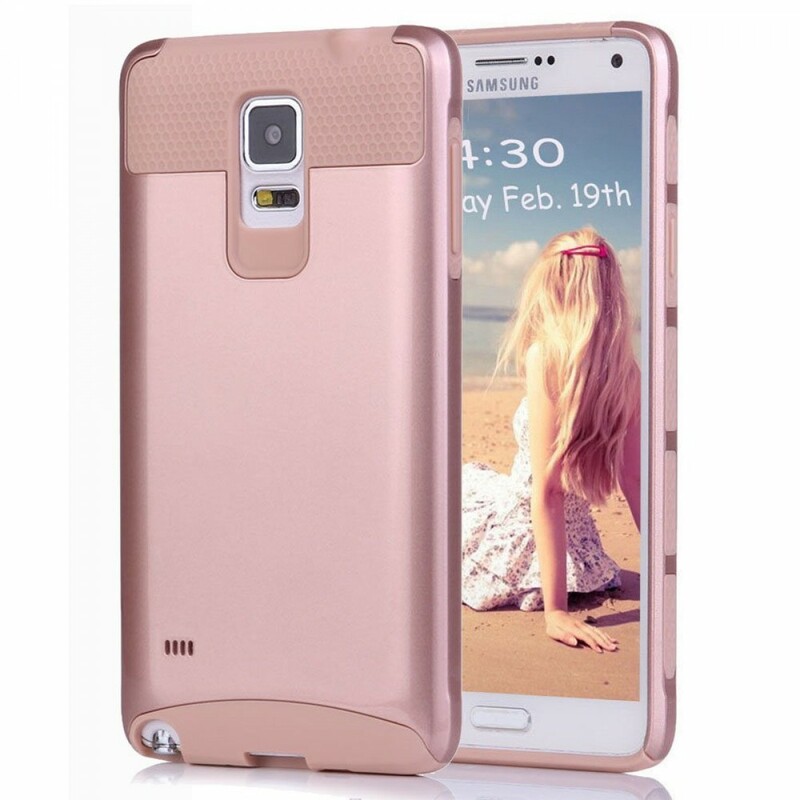 Compatible: Samsung galaxy NOTE 4 Package included 1 x Protection case Cover for Samsung Galaxy Note 4 . Accessory only. Phone not included.